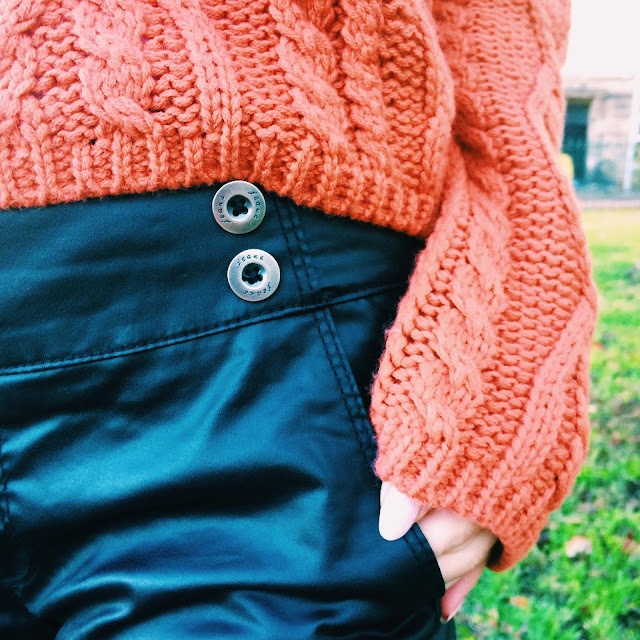 With the temperature dropping by a few degrees on a seemingly daily basis, it's a great time of the year to find some new pieces for your wardrobe. Autumn and Winter calls for a change up style wise - darker, burnt colours are the new go to - and party season requires some festive pieces to compliment the everyday pieces. That's why LOTD is the perfect place to find all your on trend clothing needs. 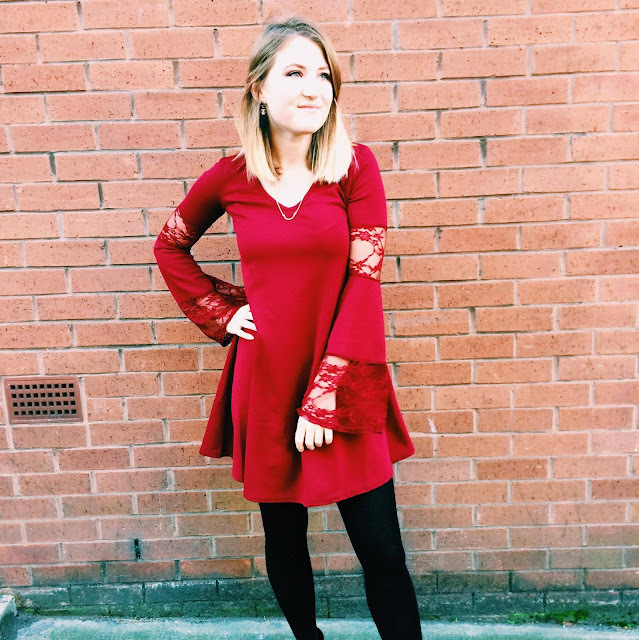 LOTD is a Manchester based company, with clothing to suit every style, for every situation. You'll easily find the perfect uni or work look, weekend style or outfit for big night out. And what's even better is that the prices are pocket friendly, so you won't be paying through the nose for a new look. 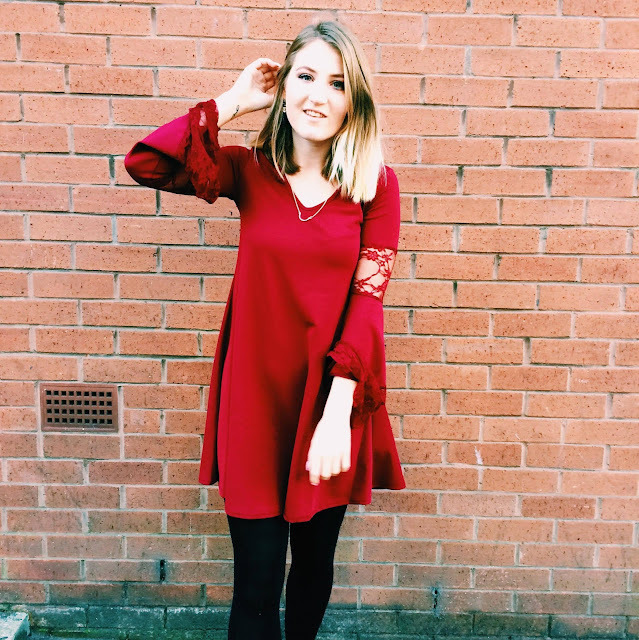 You can easily change up your wardrobe without breaking the bank - and as a student, this is always a winner. 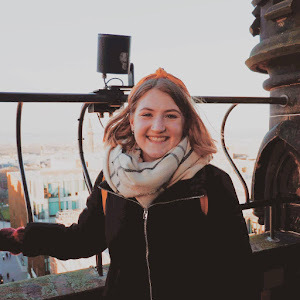 After lusting over the new fashions on social media, its now easy to have them for yourself without using up the student loan. 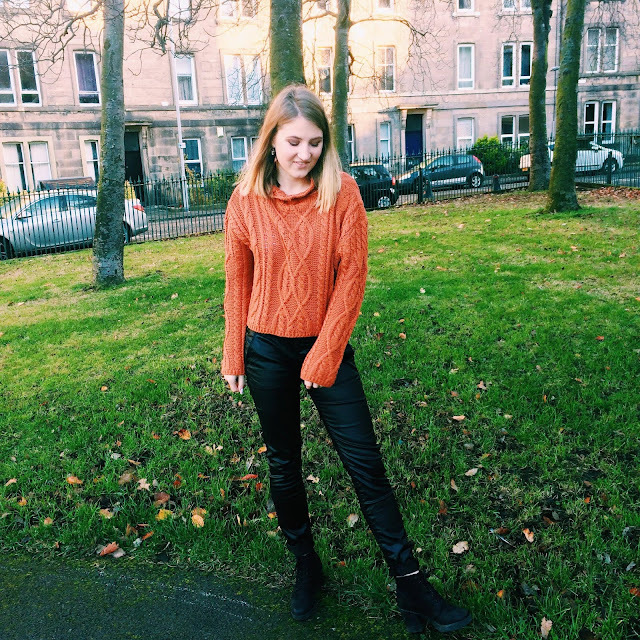 This cosy knit jumper is a burnt orange (but also comes in white too). 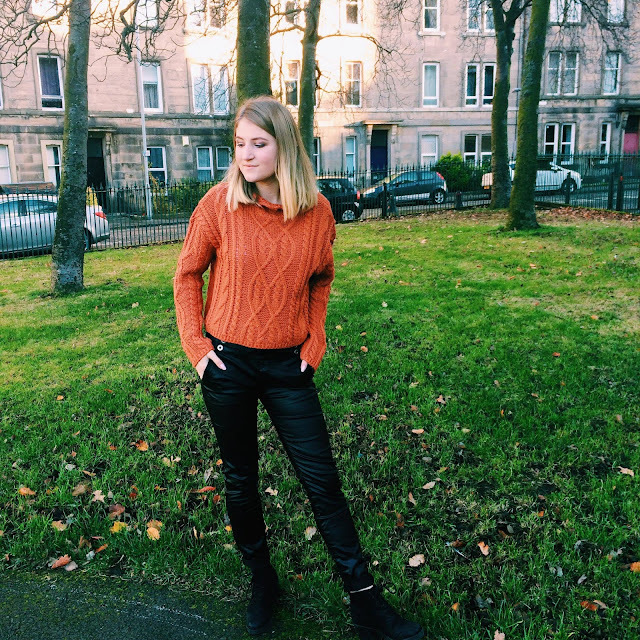 Cable knit jumpers ooze cosiness, which makes it perfect for this season. It's slightly shorter in the body, but can still be paired with trousers or skirts. The funnel neck of the jumper keeps your neck warm, and arms an oversize feel to it. Here I've paired it with these PU trousers. They have a slightly plastic feel to them, but have a great shine to them - giving them that in-trend wet look. At each side of the front are three buttons, giving a little bit of detail to the waist band. These trousers were longer in length for my small 5"4, so I rolled up the bottom of them. 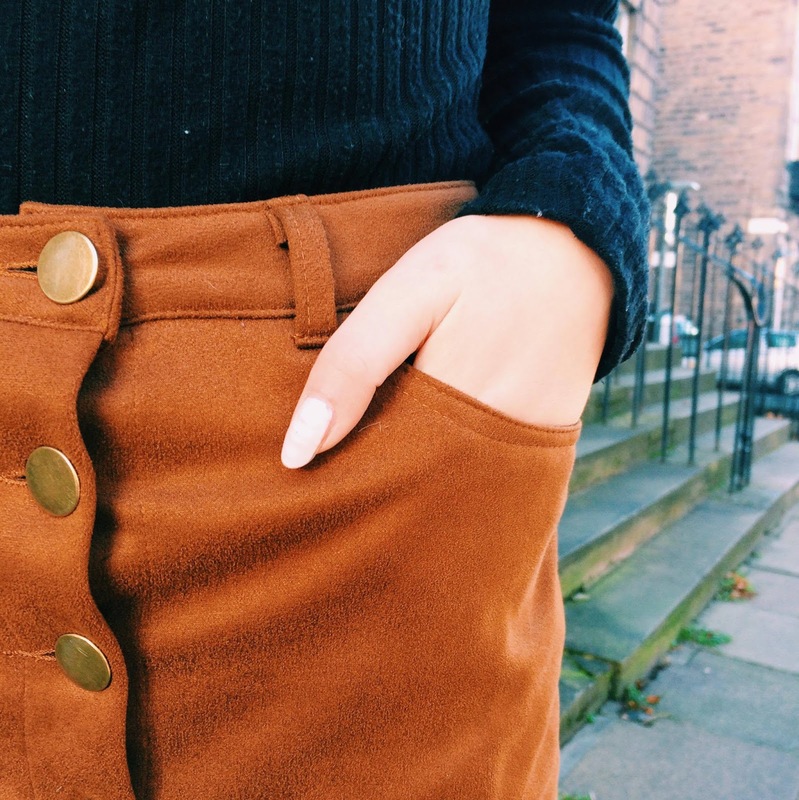 This suede skirt is one of the softest things to wear. It buttons up the front, with gold buttons, and is a beautiful tan colour. 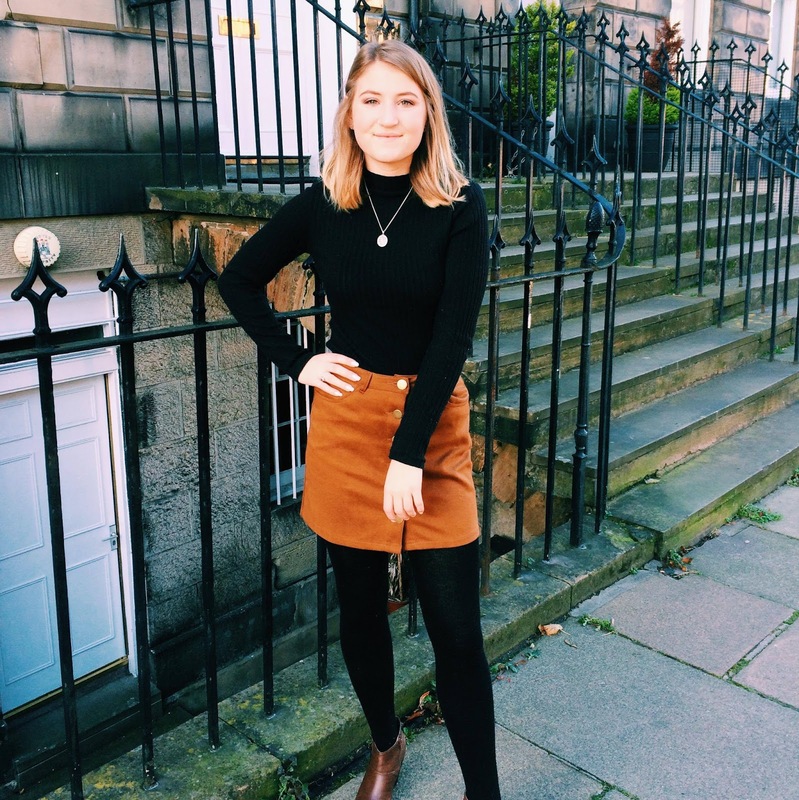 I've worn it here with a black polo neck, but it can be paired with many different tops and jumpers. The skirt lends itself to many different outfits - as its high waisted and mini in length, I've found it also suits a baggier jumper. And what's more to say than - it has pockets. I'm a big lover of a swing dress - I think they're great for the Christmas season. Eaten too many mince pies? Not a problem. This style of dress will hide a multitude of sins. And its a great one for twirling and dancing around in. Statement sleeves are one of my favourite things right now - and seem to be everywhere. And these sleeves are not only statement with their floaty arms; they also have lace panels which is a lovely detail while the body of the dress is just the block colour. 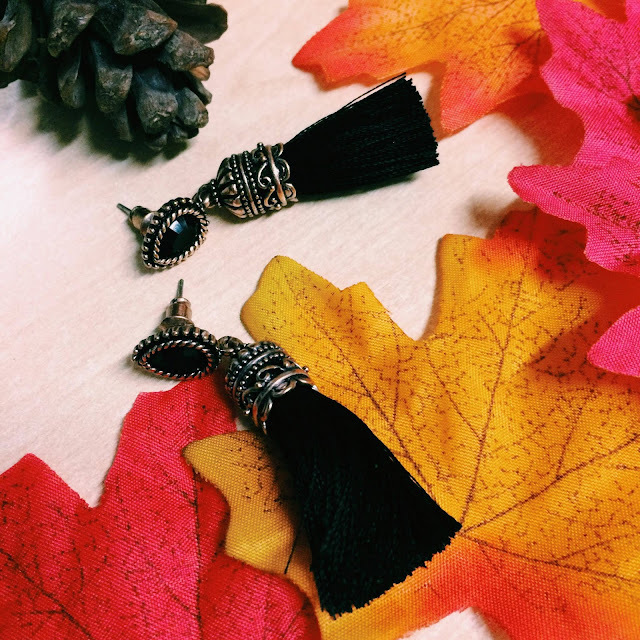 Tassle earrings are the biggest trend right now, and LOTD have a huge selection to satisfy your tassel earring needs. I chose these because they're a perfect length to be noticed without getting in the way. 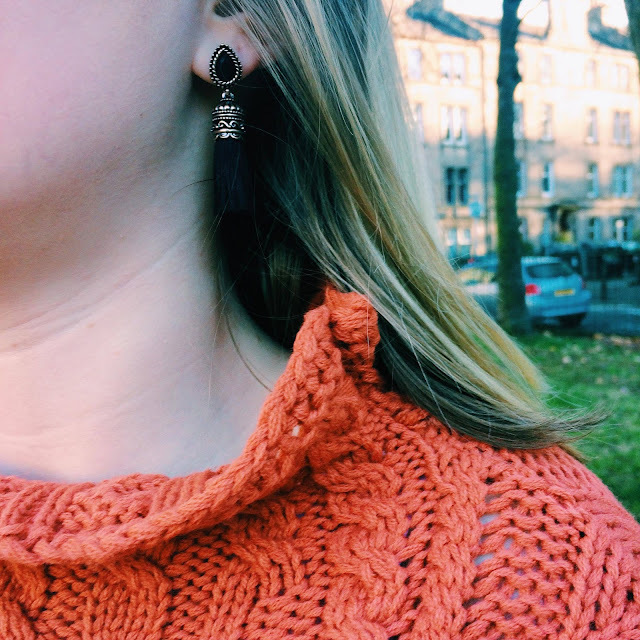 I've been wearing these earrings almost every day since they arrived - I chose black since they'll match almost every outfit, but LOTD also have them in red, as well as other styles in every colour of the rainbow. What's your favourite piece from my LOTD look book? 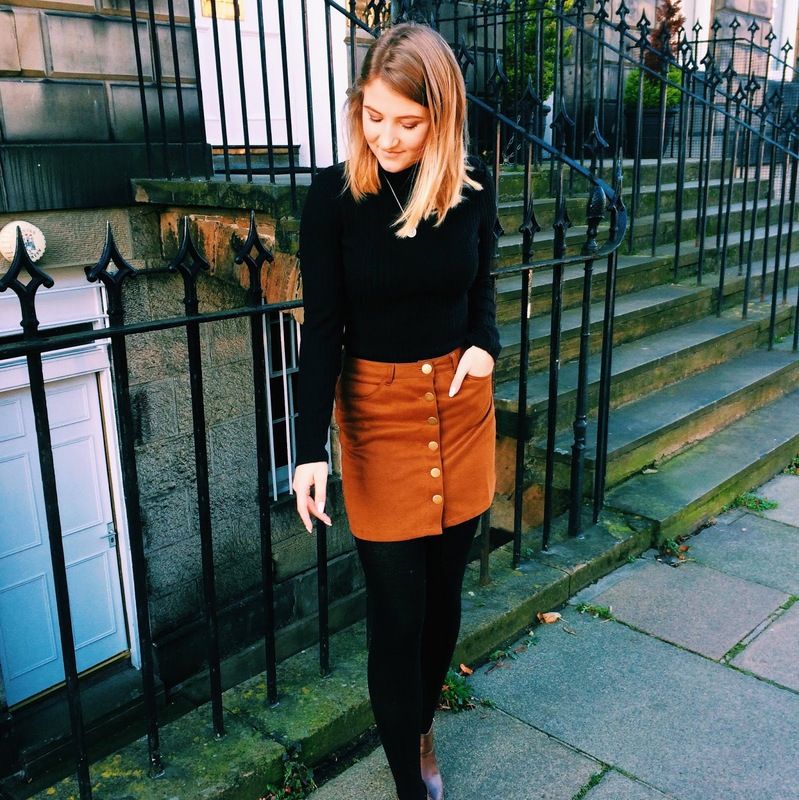 I've fallen in love with each piece, and know that'll I'll be wearing them plenty over autumn and winter. 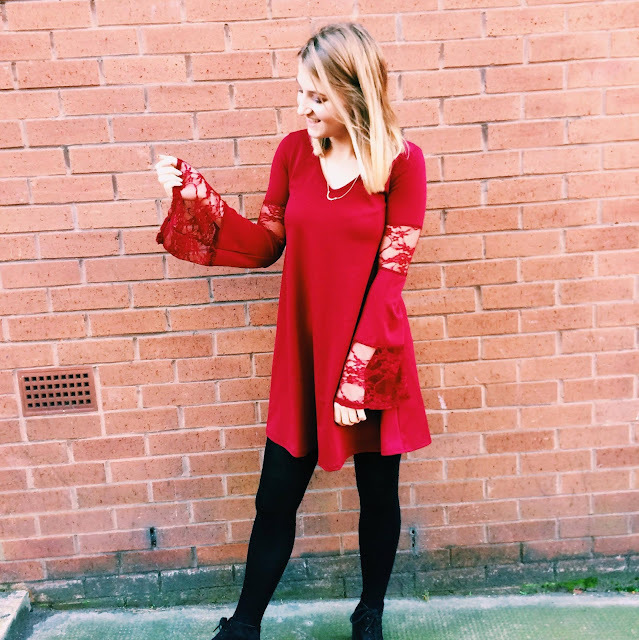 SO, if you're looking for a perfect Christmas Day outfit, party piece or loungewear for a cosy day in, then LOTD is your place to go. 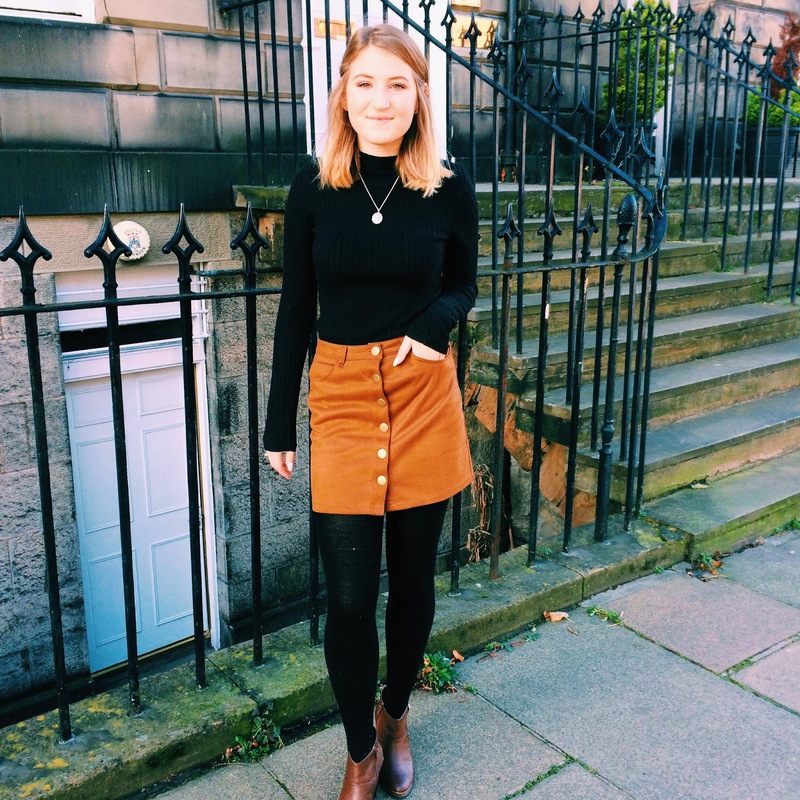 Love how you have styled the suede skirt! These are all super cute. I love the jumper in the first outfit.